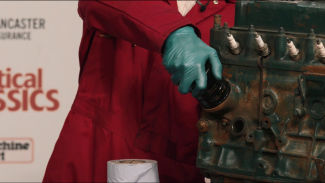 If your MOT station has failed your classic car or issued an advisory for a split or damaged steering rack gaiter, this video tutorial will give you a step by step guide on replacing it. 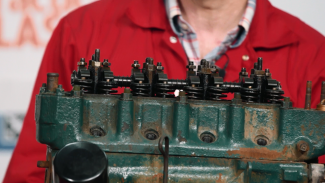 Ed Hughes will show you the right tools for the job, as well as hints and tips on replacing a steering rack gaiter whilst preserving the tracking settings on your classic car. This video is best watched in conjunction with our other tips video on replacing track rod end boots as that video offers more detail on the splitting of the track rod end ball joint. As with most projects in the garage, it’s important to first learn the essential techniques and then challenge yourself on the more complicated scenarios. 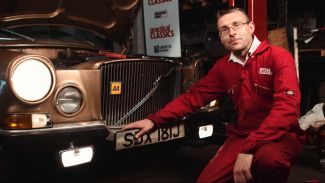 To help you gain an introductory understanding of classic car electrics, Danny Hopkins and Ed Hughes are here to demonstrate a number of simple car maintenance projects that focus on classic car electrics. 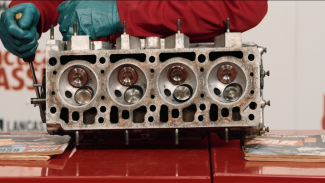 With each of the five classes in this course, you’ll discover a new technique that you can implement in your own garage and grow more confident as a classic car restorer.